Each year approximately 80 000 dogs and cats are lost, hurt or stolen in NSW alone. Most are impounded and due to their lack of identification, cannot be returned to their owners and risk being destroyed. Under the Companion Animals Act 1998, passed by NSW Government, dog, and cat owners must take two simple steps to provide lifetime protection for their pet; microchipping and lifetime registration. By 12 weeks of age, all puppies and kittens must be microchipped. Microchipping is usually carried out by a vet. It is very safe, almost painless, and is done at a low cost. A microchip the size of a grain of rice is inserted quickly and safely into your pet between their shoulders. The chip carries a unique number that can be read by a scanner to identify your pet. The NSW Pet Registry records all microchip numbers, which are linked to the pet owner’s details. Therefore, you can be informed if your pet is found. Your privacy is strictly protected. Only authorised people can access the register, which is not linked to any other databases. When your cat or dog is microchipped, you are required to complete a Permanent Identification/Registration Form. A copy of this must be sent to the Inverell Shire Council, and a Certificate of Identification will be sent to you before your pet is six (6) months old. From the time your pet is 12 weeks old, it is required to display an ID disc with your name and contact number on it. Registration links your pet’s microchip number with your personal details. To register a pet, you must be 18 years of age or over. In the instance that the pet is owned by a child or teenager, the pet must be registered by the parent on the child’s behalf. Dangerous/restricted dogs which are not registered by the age of 6 months carry a maximum penalty of $6600.00 for the owner for failure to comply. Make sure you bring with you the relevant documentation listed below. Once you have filled out and sent away your Permanent Identification/Registration Form at the time of microchipping your pet, you should have received a Certificate of Identification. 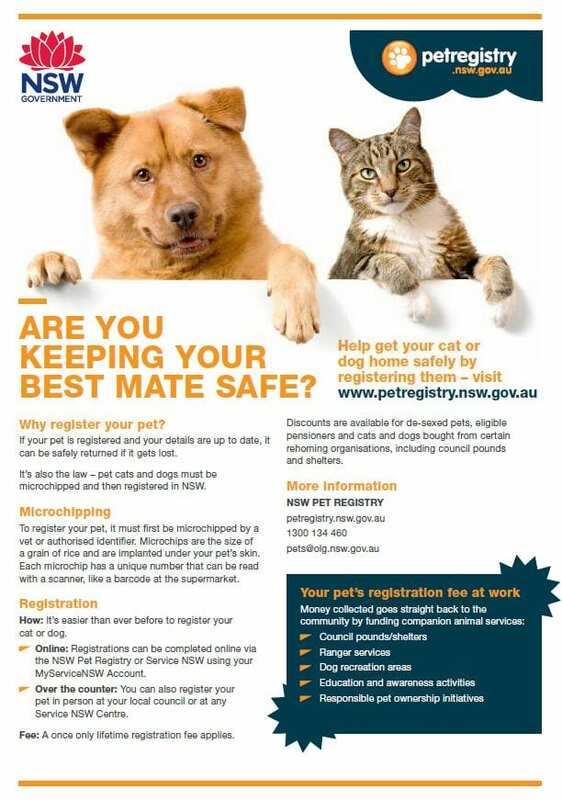 Register your cat or dog in person by taking your documentation to Inverell Shire Council Administration Centre, 144 Otho Street, Inverell, by visiting your local Service NSW branch or online at the NSW Pet Registry or on the Service NSW website. If you have your pet desexed, you will be eligible for a reduced registration fee. You will need to provide evidence that your pet has been desexed at the time of registration, for instance, a veterinary certificate or bill. 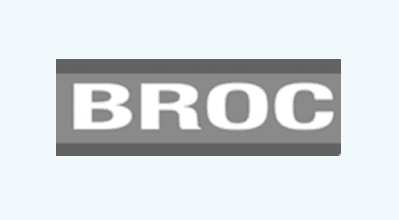 If you are a recognised cat or dog breeder, you will need to provide a copy of your current Breeder’s Membership card when registering. If applying for a reduced pensioner fee, you will need to provide a copy of your current Pension Card. Registration fees and conditions are set by the NSW Government – Office of Local Government. Farm working dogs living on rural properties do not have to be identified or registered. Council does, however, encourage the microchipping of valuable working dogs. Greyhounds registered under the Greyhound Racing Authority Act 1985 do not have to be permanently identified or registered with Council. People with Assistance Animals must have their animal permanently identified and registered, but, they are exempt from paying registration fees.